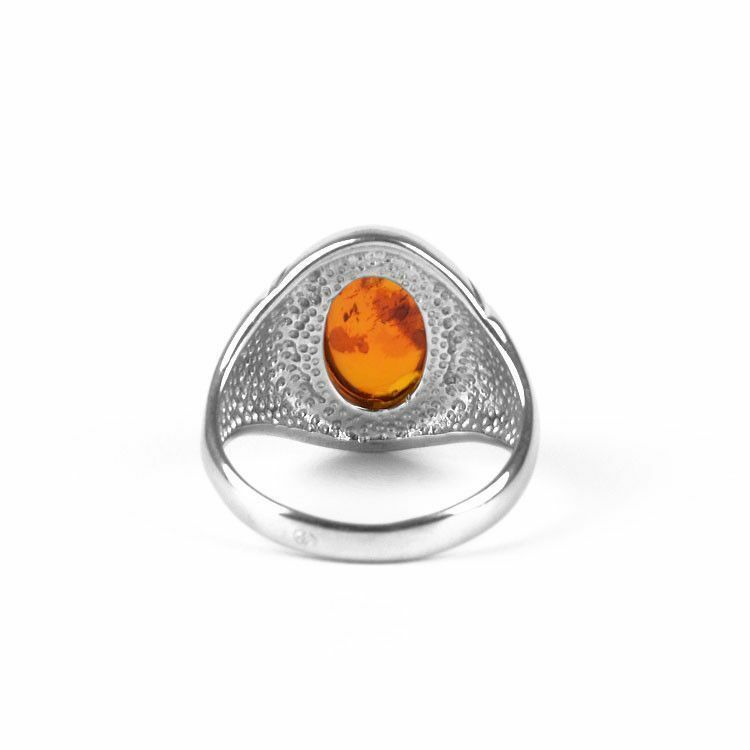 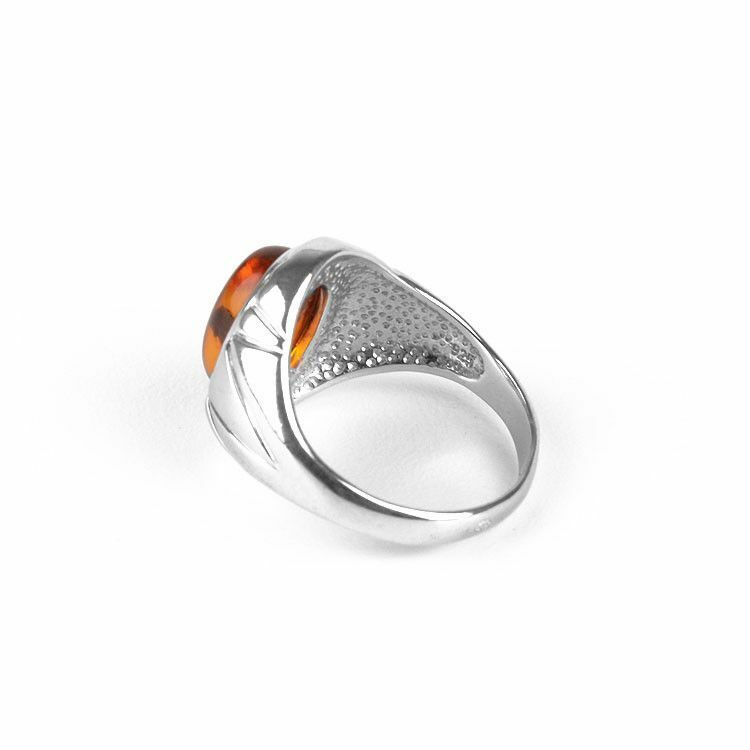 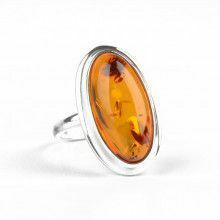 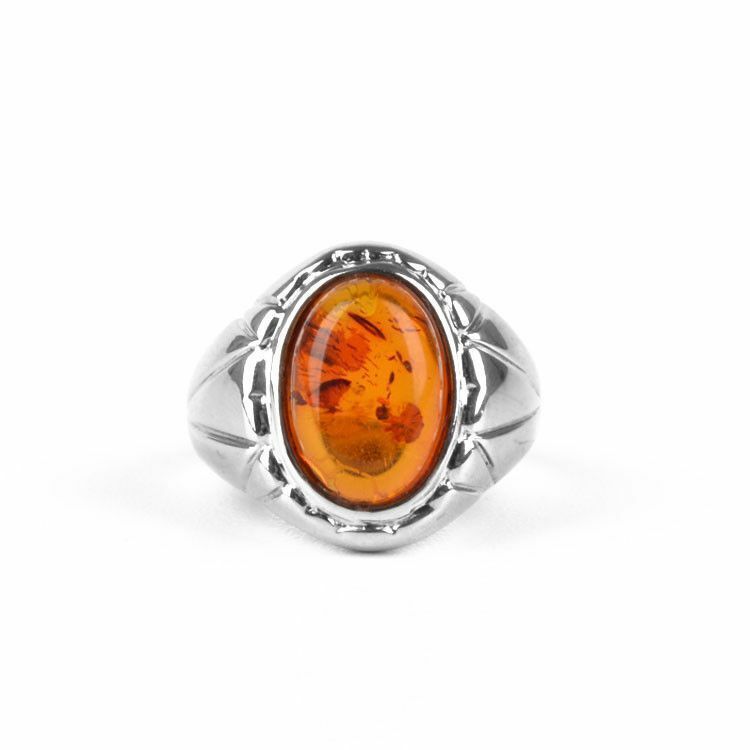 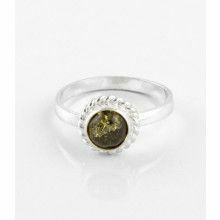 This classic design ring features an authentic Russian amber gemstone (about 9/16" long and 3/8" wide) set in a wide band of stylized sterling .925 silver. 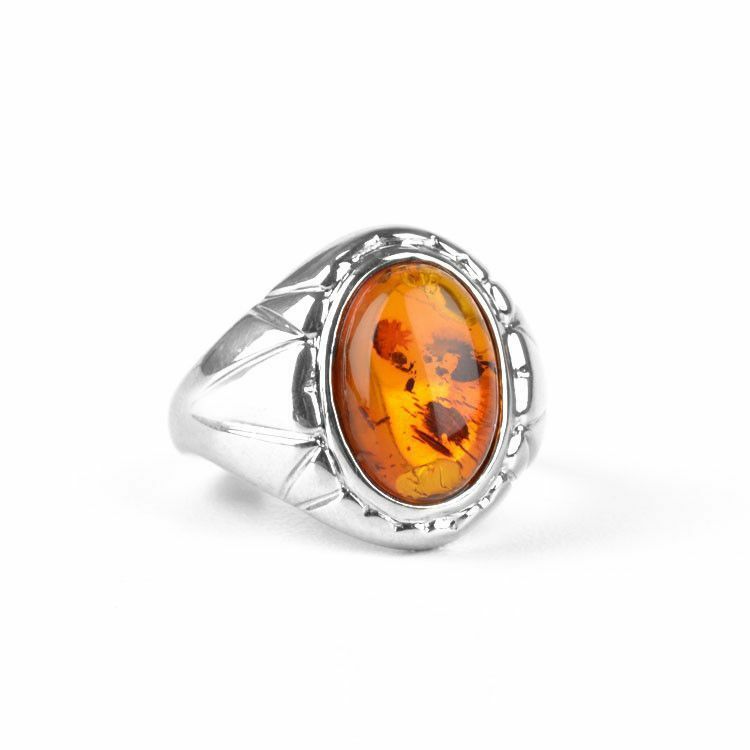 Excellent for any occasion, this ring suits both men and women. 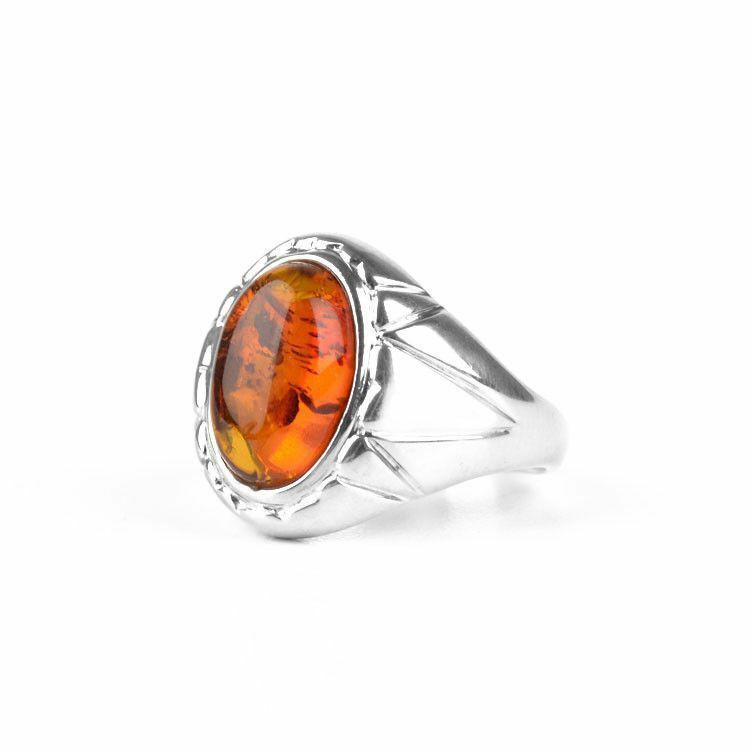 Each amber stone is unique and beautiful in its own way; yours may vary slightly in hue than the one pictured here. 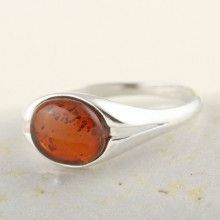 Stone is about 9/16" x 3/8"
Ring's face measues about 11/16" x 1/2"